If you remember back to this post, my sister is engaged! 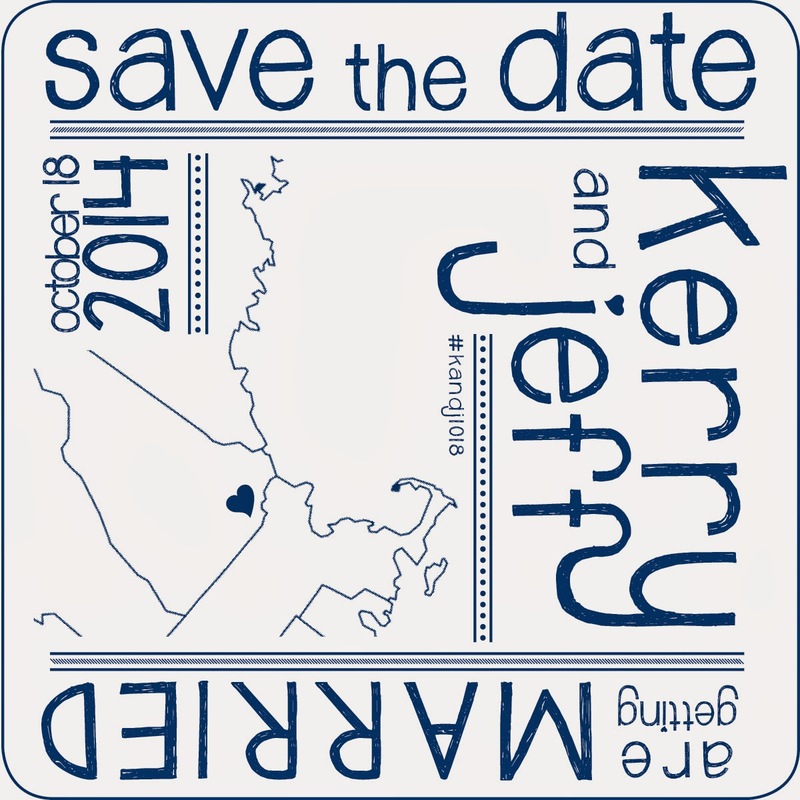 She asked me to create her Save the Dates. Obviously, I obliged. Why wouldn't I? I love this kind of stuff. They wanted something unique; something versatile. Enter coasters. 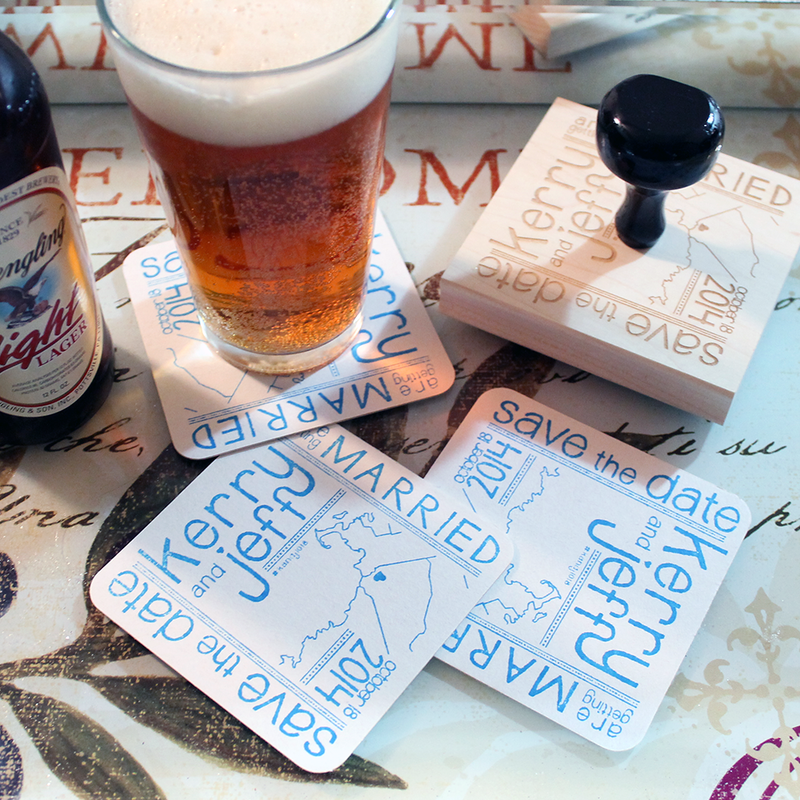 I designed a custom image that I had converted into a rubber stamp online. 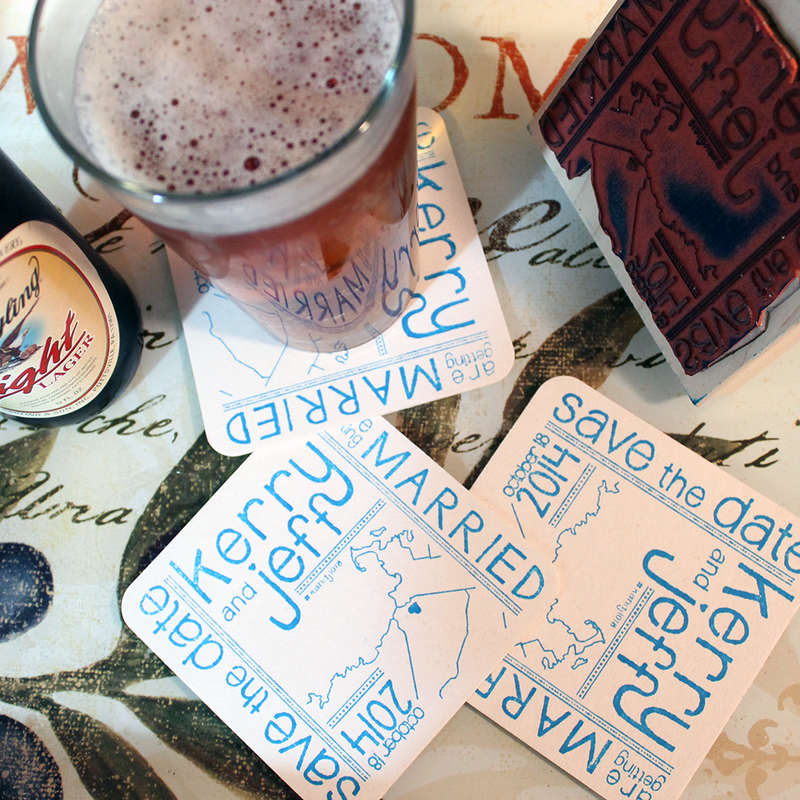 Then my mom, sister + I stamped some 200 blank, off-white coasters. And voila! They're turned out pretty damn sweet, don't you think?